In case you’ve been living under a rock that is also located in the center of the ocean, know that millions of women around the globe gathered for the astonishing, uplifting, totally woman-made Women’s March on Saturday, January 21st. 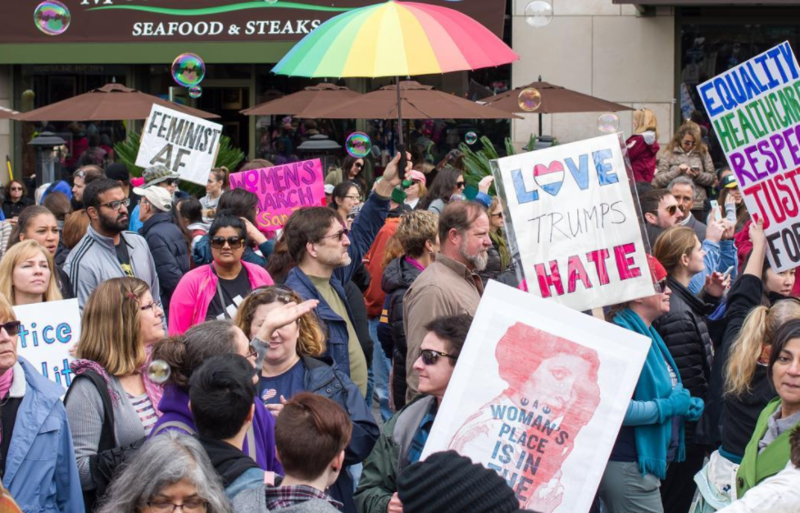 Women and men alike were still feeling motivated and inspired the next day, so it’s no real surprise that the seeds have been planted for the next (hopefully) massive, peaceful march — and it’s all thanks to Kellyann Conway. During the election, Trump won the title of first major party nominee since 1972 not to release his tax returns, citing ongoing IRS audits. He said he would release them once those audits were completed — and Conway is now reversing last night’s statements entirely after media backlash, tweeting “POTUS is under audit and will not release until that is completed. 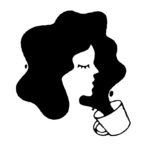 #nonews” on Monday morning — but still. Many of Trump’s constituents do care about their President’s taxes, and are therefore rallying for the next major march to take place on April 15th, 2017 — also known as Tax Day. The idea seems to have come from former Colbert Report writer Frank Lesser. Patton Oswalt spread the word, asking women for help because, y’know, we’re pretty good at this whole organizing thing. 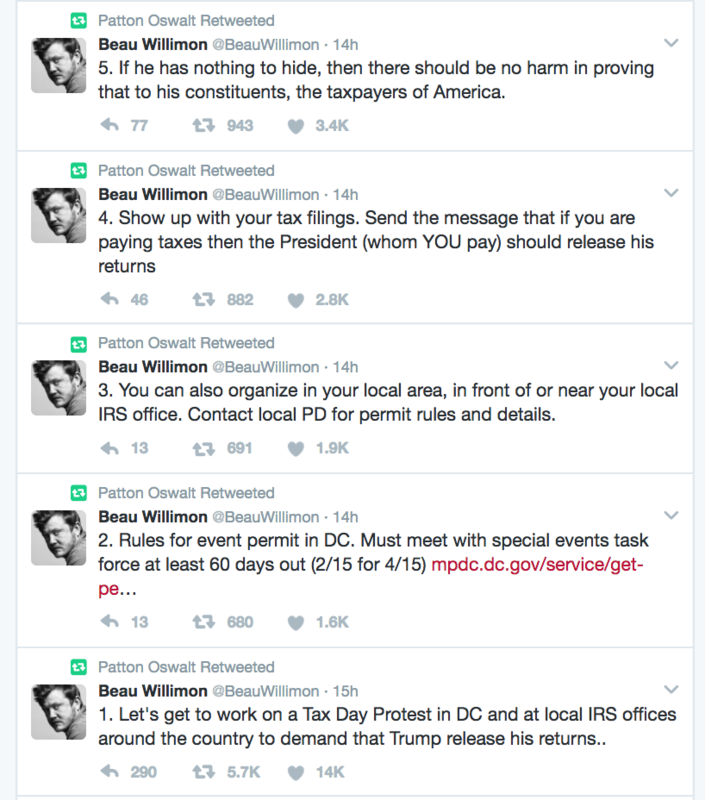 House of Cards showrunner Beau Willimon soon joined the fight, adding helpful tips on how to make #TrumpTaxesMarch happen. Billy Eichner, fwiw, is also totally down. Soon, #TrumpTaxesMarch had gone viral. April 15th is a Saturday, so it almost seems TOO perfect. Is anyone else feeling TOTALLY INSPIRED by the American public right now? Hopefully, Mr. Trump will see all this, realize it’s what his public wants, and release his taxes. If not, we’re feeling very inspired by the sheer number of Americans calling their reps, collectively organizing, and getting their voices heard. Despite what some Twitter trolls say, this is what democracy looks like, and we are so on board.